The luxurious day-dreams of pool-side parties, enjoying a peaceful day by it with your friends and family, pampering yourself with a heavenly tanning session on your deck; the list just keeps getting more and more immersive. However, the have-its will tell you well that the task to get that perfect pool goes a little beyond just the moolahs. The maintenance of these tiled water beauties is absolutely critical if you want to enjoy all your pool dreams without the slime and grime. 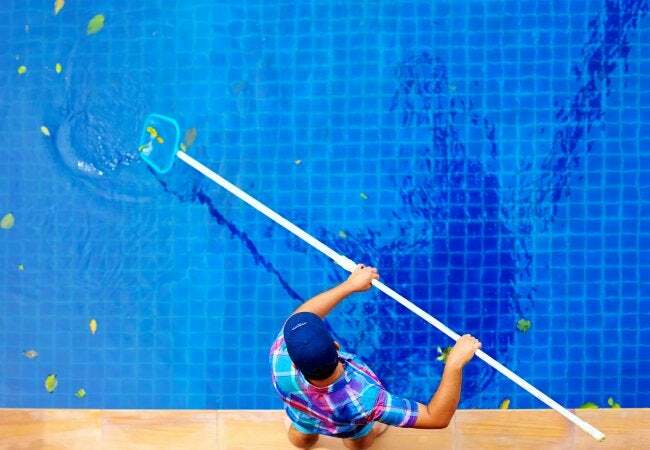 Here are some swimming pool maintenance tips which will help you stay on top of it. The Chemistry: The pH of the pool plays a much more vital role than you’d assume. The ideal pH level should range from 7.2 to 7.8. The lower, the better, as higher pH levels result in the pool’s Chlorine becoming less and less active and you would need to keep adding to it. A change of pH levels from 7.0 to 8.0 can lead the Chlorine to become up to 40% less active. If you have a salt pool/salt system, it would need regular monitoring to keep the salt levels in check. If your tongue can taste it, it’s probably overboard. Salt systems can result in a rise in the pH levels, and the rest follows. The Ozone/UV: A good Ozone or UV system installation, or a combination of the two, can go a long way to reduce the amount of Chlorine that your pl uses. Keep a regular check on these systems to make sure they are in correct health and are working properly. The Shock Therapy: Don’t think twice before shocking the pool to get rid of that cloudy sheath on top of its surface. But make sure that you do it at night, and if you plan a short-visit back to waters, use non-chlorine based shocks. The Surface: The surface of your pool water is its first layer of protection. Take good care of the skimmer baskets by cleaning them out every week. The Tiles and Water Levels: Keep the pool tiles clear of any deposits and the water levels at an optimal level (centre level of your skimmer) for the proper functioning of the installed systems. The Nooks and Corners: A pool should ideally be 99% debris free, and for this, it is important that you take special care of your pump and the hair and lint pots located in it. Clean them out every once in two weeks. A recommended investment, here, would be a leaf trapper and debris removal system along with multi-speed pumps. The Storage: Always store your chemicals in a cool and dry place, and away from direct sunlight. Another word of caution, never store acid and chlorine next to one other. Pool Safety: Install adequate protective mechanisms in and around the pool to ensure the safety of your loved ones. Team up this knowledge with a little information on the climate and weather and keep that Toronto Pool in splashing health, all year round.